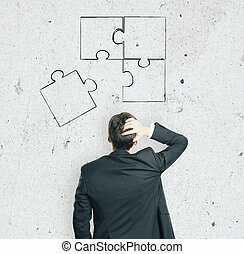 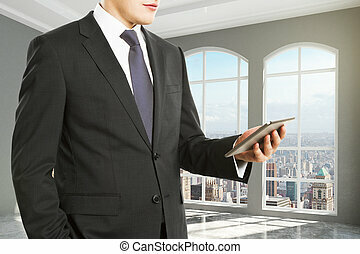 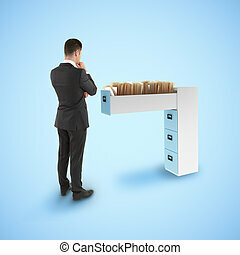 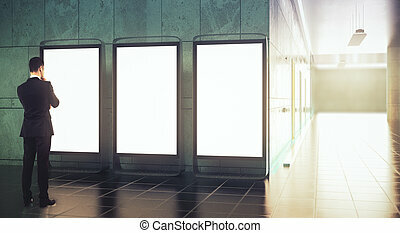 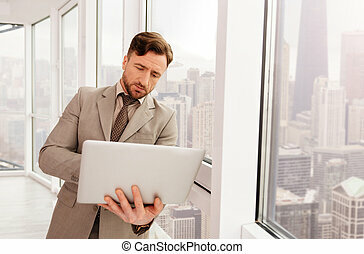 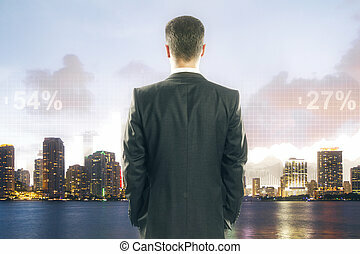 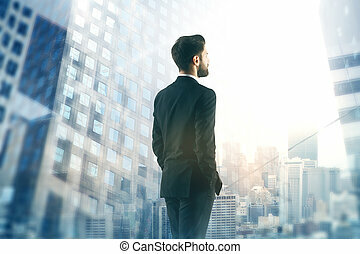 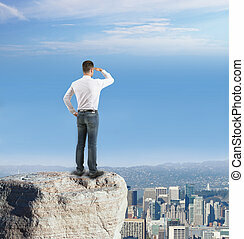 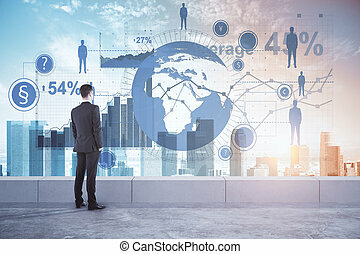 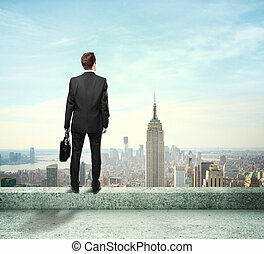 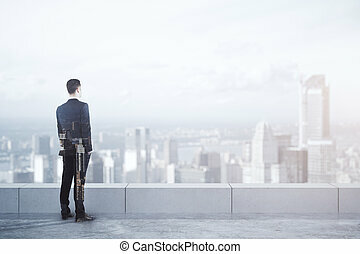 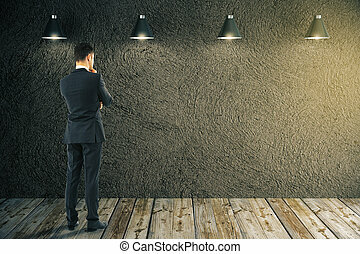 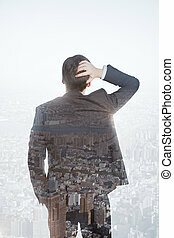 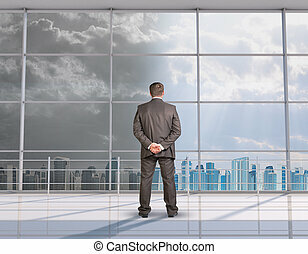 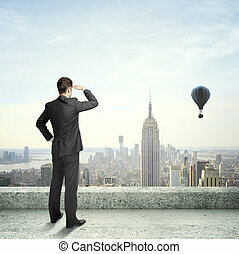 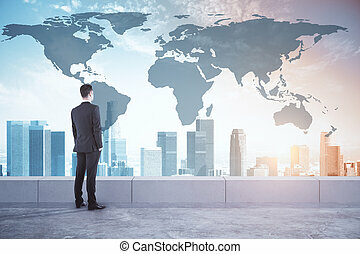 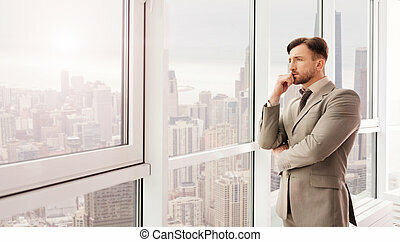 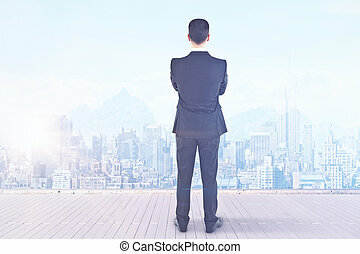 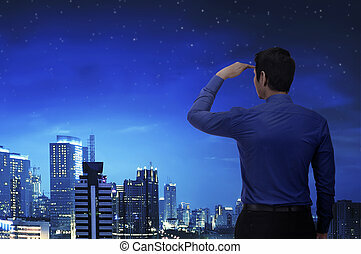 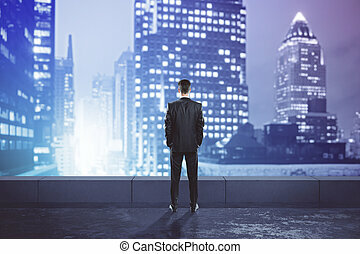 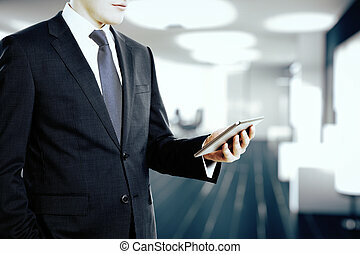 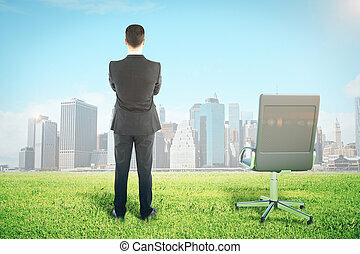 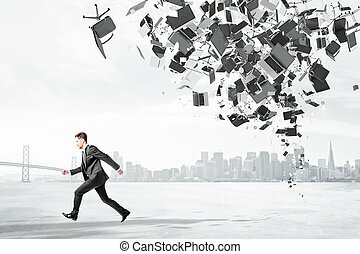 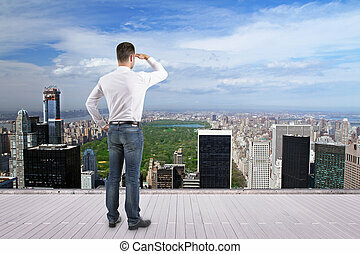 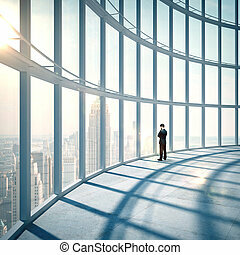 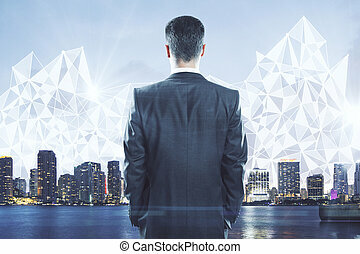 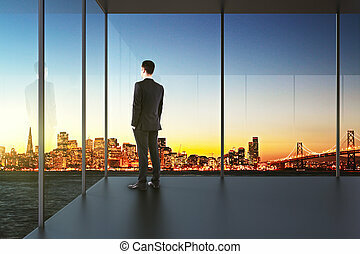 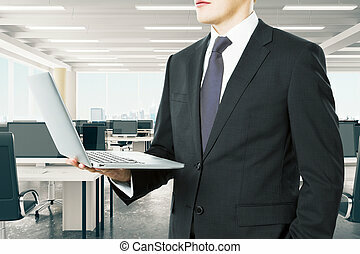 Businessman looking at city. 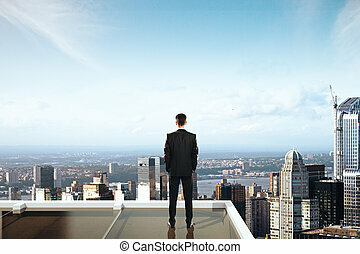 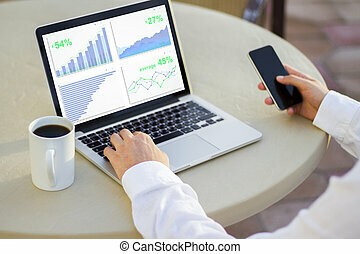 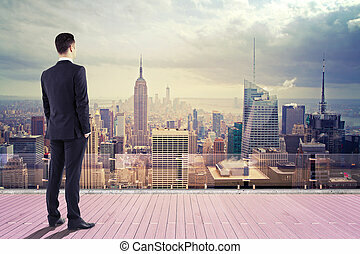 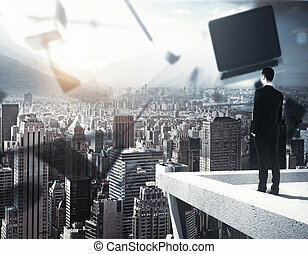 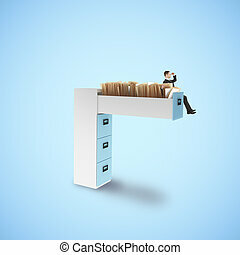 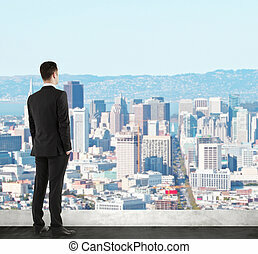 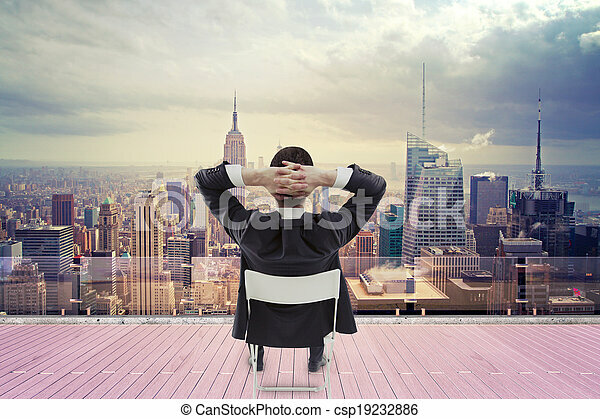 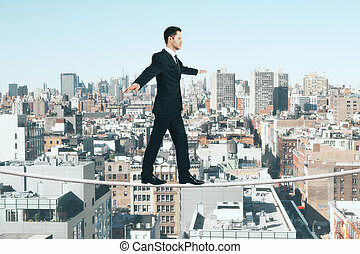 Businessman sitting on roof and looking at city. 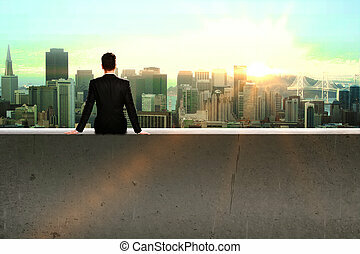 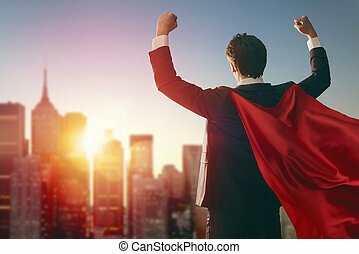 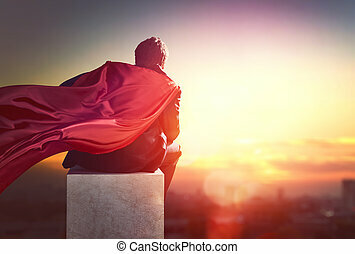 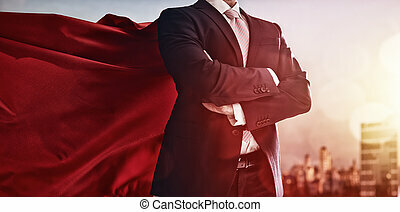 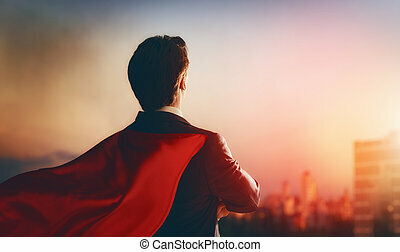 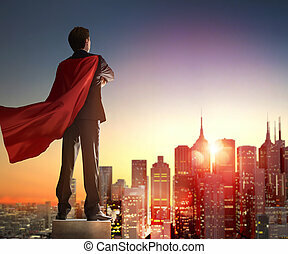 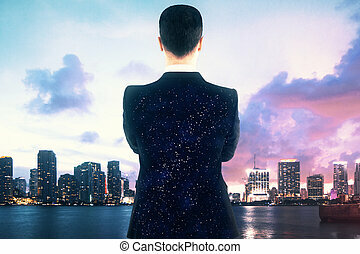 superhero businessman looking at city skyline at sunset. 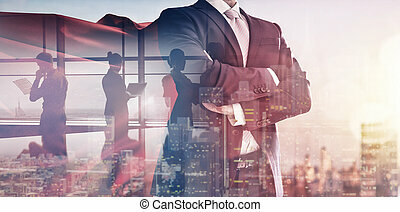 the concept of success, leadership and victory in business.